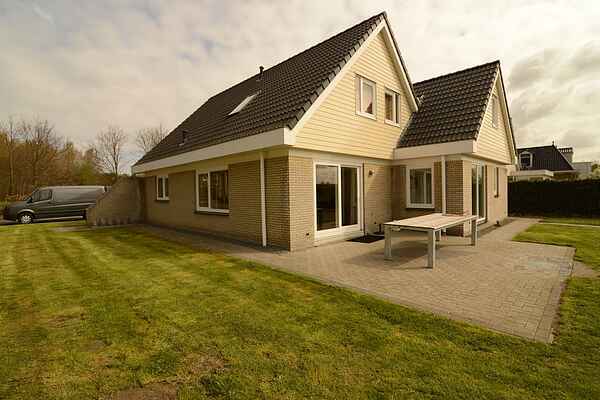 This comfortable holiday villa is located in a beautiful rural location in Zeewolde, Flevoland. The well-maintained decor of the house offers more than adequate comfort for a delightful stay. A large flat-screen TV with relevant media is part of the luxury. The WiFi is free to use. The house is right on the water, where you have a magnificent view over the lake. This lake is safely fenced off from the garden for the children. A free set of bikes, a playground with swing and the large 12-person table make the large playful garden complete. The park has a spacious and green location in the Vaart forest. Play a game of tennis on the all-weather tennis court, or take a refreshing dive in the spacious swimming pool in the summer months. The Horsterwold is the largest hardwood forest in Europe and therefore offers numerous hiking and cycling opportunities. Of course there are also various water sports; get on the boat in Harderwijk or Elburg and enjoy a trip on the lakes.